The temperature of the iron tip should not be higher than 350℃and Soldering time to be within 3 seconds per solder-pad. Preheating : 140℃~160℃±5℃,within 2 minutes. 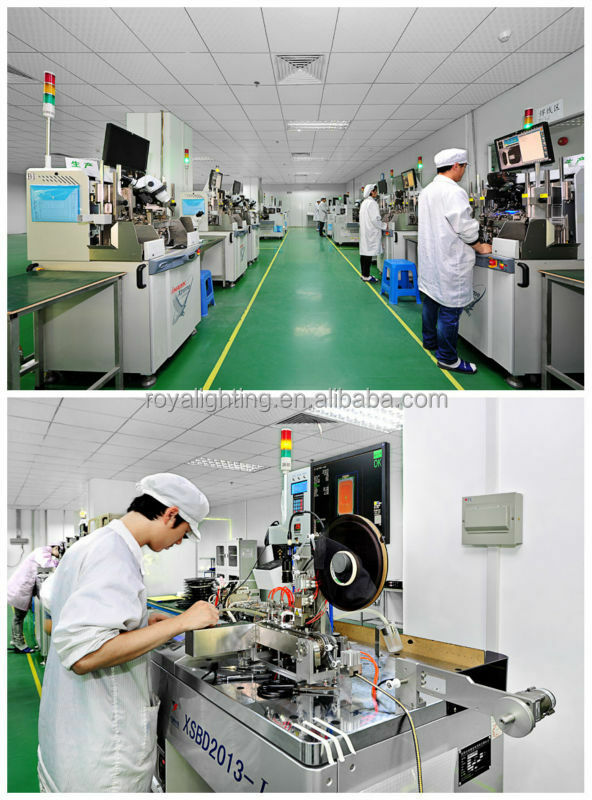 Package: Products are packed in one bag of 2000 pcs (one taping reel) and a label is attached to each bag. 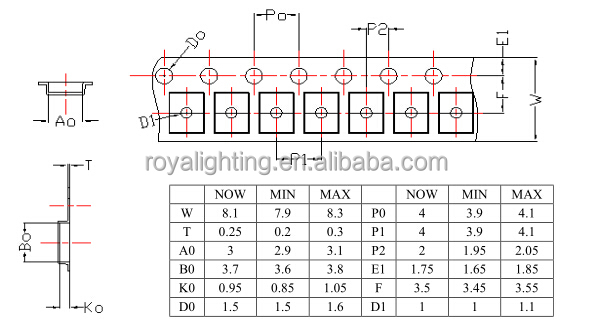 Your inquiry related to our SMD LED products or prices will be replied in 24hours. Strict quality control procedures before shipment. 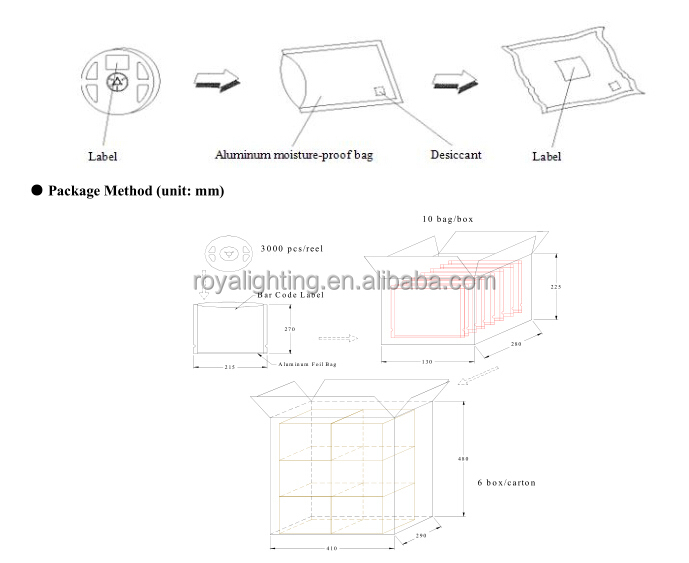 OEM&ODM,any your customized LEDs we can help you to design. 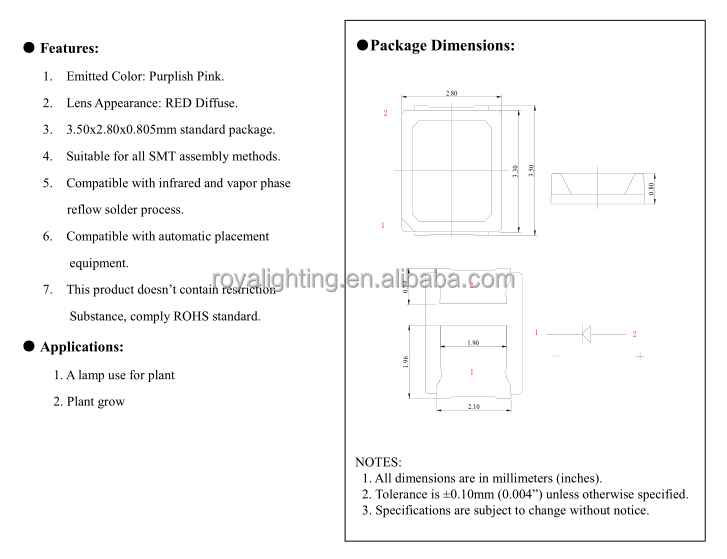 Shenzhen Royalighting Co., Ltd was established in 2010, our managerment team has more than ten years of valuable experience in LED industry. 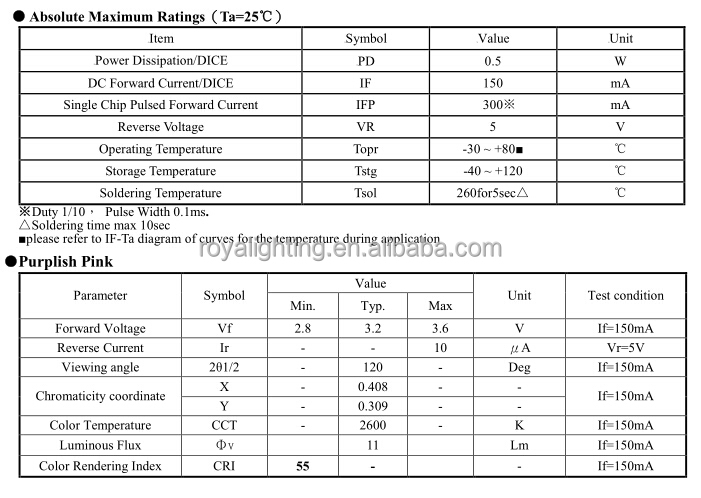 We are mainly engaged in manufacturing LED special light sources. We also accept OEM/ODM. 1. Which kind of light have an effect on the growth of plants? > 1000 nm: converted into heat. 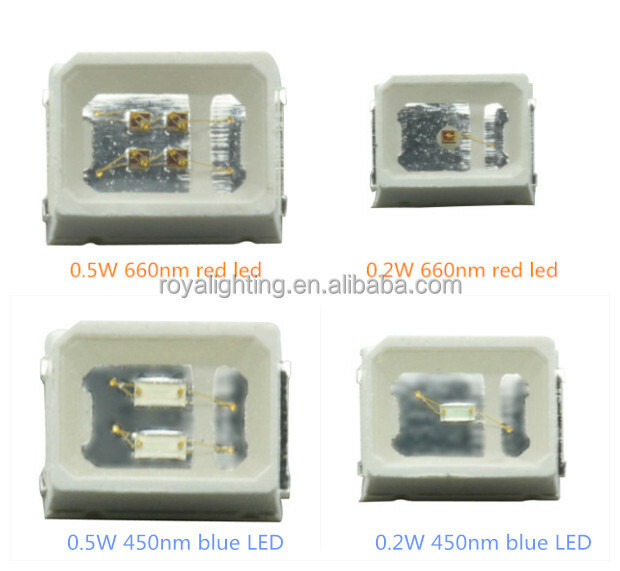 LED is small, light, solid, long lifespan, special wavelength, low voltage, high luminous efficiency, low energy consumption, safe, reliable and durable, with larger flux. 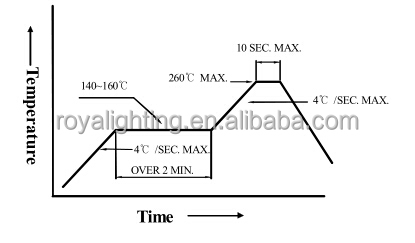 In addition, the LED light is Ⅲ, V compound light, with a narrow spectrum, spectrum and a half wide range from several nanometers to tens of nanometers, is about 20 nm +, wavelength coincide with morphogenetic spectrum of plant photosynthesis and light. 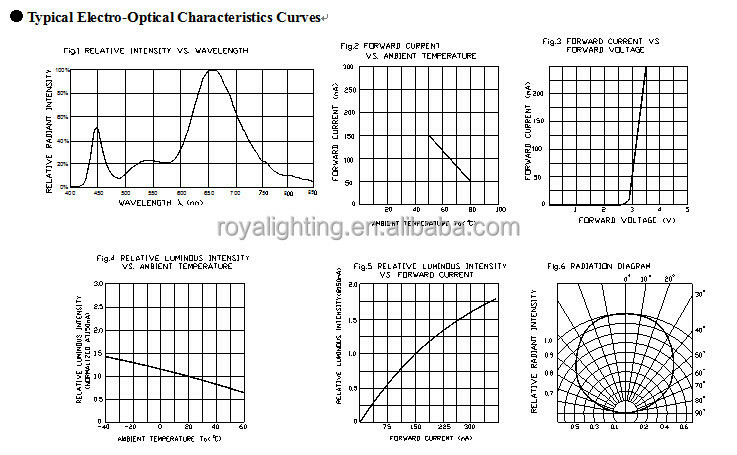 Therefore the LED as plant special-purpose lighting, whether efficiency or effect will have an advantage than the traditional light, for the traditional light source is generally for the band, if with fluorescent lamp as light source, need to add a filtering to obtain the specific wavelengths of light, this will reduce the utilization ratio of light and the illuminant to be filtered is likely to be converted into the form of heat. 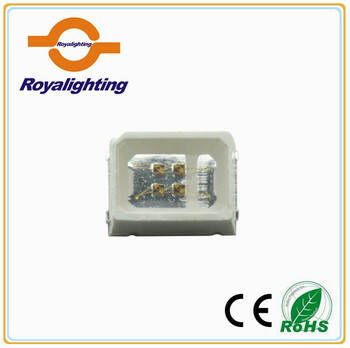 Shenzhen Royalighting Technology Co., Ltd.